A wonderful backbend series as demonstrated by Kino MacGregor. Covers advanced bow pulling, pidgeon, wheel and scorpion poses. Please do not try this at home without professional guidance! KL Yoga speaks to multi-talented celebrity yoga instructor and entrepreneur, Ninie Ahmad, who is the Ambassador for Adidas in Malaysia, ex-Yogazone instructor and the co-founder of newly-opened boutique yoga centre, Beyoga. Not a newcomer to being in the public eye, she has been a contestant on Fear Factor, a finalist for Nescafe Kick-start and published Malaysia’s first yoga magazine, Hati Yoga. Read on to find out what makes this yogapreneur tick. How did you first get involved in yoga? Ninie: Back in my school days, I used to be an avid athlete. Unfortunately, during my teens when I was studying at a boarding school, I developed serious asthmatic problems and had to be sent to the hospital almost twice every week. Their brochure says it is a multi-functional high density Yoga Brick which provides yogis with support in developing flexibilty. 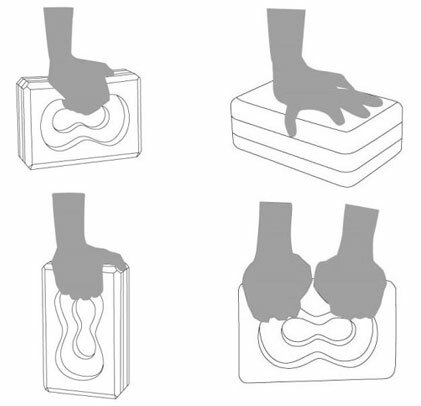 The alpha shape cut-out in the middle has a four-directional grip which provides stability while strenghening, stretching and aligning the body. For more info, download their brochure here or visit this website. Attention aspiring yoga instructors! Jasmin Yoga is currently on the lookout for a yoga instructor who is also able to run the operations of one of her studios. The successful applicant will be given the opportunity to learn and train how to hone his/her skills, give demos and conduct classes under Jasmin Chan, the founder of Jasmin Yoga, who has over 20 years of teaching experience. For enquiries, contact Jasmin via telephone at 012-281 3616 / 012-220 5616 / 9171 1616 or via email at jasminyoga@yahoo.com. Jasmine Yoga (Studio 1) is located at 87-3, Amber Business Plaza, Jln Jelawat 1, Cheras, 56000 KL and Jasmin Yoga (Studio 2) is located at B3-12, Blok B, Plaza Dwitasik, Jln Permaisuri 1, Bdr Sri Permaisuri, 56000, KL. Learn the fundamentals of Iyengar Yoga with alignment, precision and coordinated breathing. 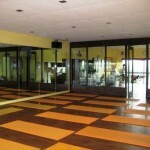 Riana A. Singgih is a certified Senior Iyengar Yoga Teacher in Asia with more than 20 years of experience. 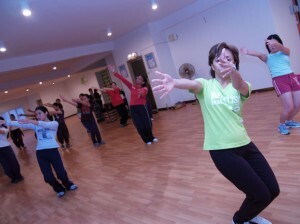 She conducts international workshops and classes under the personal blessing of B.K.S. Iyengar. Riana regularly travels to Pune, India for continuous learning at the Ramamani Iyengar Memorial Yoga Institute, headed by Guruji B.K.S. Iyengar and his children Geeta and Parshant Iyengar. All proceeds for the workshop will be donated to a charity in Malaysia that helps children. Yin Yoga is a form of static yoga that is quiet and gentle, emphasizing on holding each posture for long periods to enhance muscle relaxation. Through this, Yin Yoga works deep in the connective tissues surrounding the joints, stretching them gently and helping create more space between joints, thus improving joint mobility and flexibility. This 30-hour course will help you develop a complete understanding on the principles of Ying Yoga, the nature of your joints and its limitations, and teaching techniques to help you successfully conduct your own Yin Yoga class. Learn about the practise of Yin Yoga and its relationship with Yang Yoga. Students will be able to practise different yin sequences and learn which areas to target in the body. Students will be required to pass tests which include a written assignment on Yin Yoga, simple oral test on Yin Yoga and on conducting a real class. 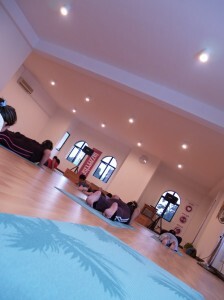 For further enquiries, visit their website at www.ojasyoga.com.my or contact Felicia at 03-8994 9615 or 016-335 4773, or via email at inquiry@ojasyoga.com.my. 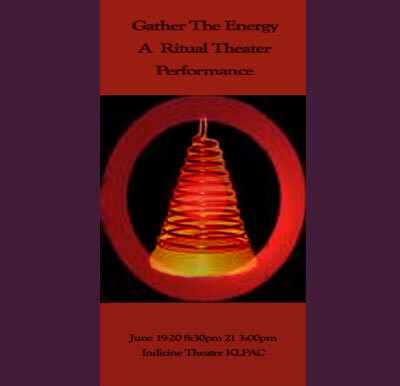 Gather the Energy is a semi-interactive ritual theater performance to celebrate the Summer Solstice. Participation is not required but it is definitely encouraged. In fact, by entry to the performance space you will already be participating! Gather the Energy is something that must be seen to fully understand. Ritual Theatrics lie outside the written word, where knowledge beyond the word is conveyed. By using ancient ritual performance symbology, and combining that with cross cultural themes, a contemporary statement is made which has relevance to the audience in their daily lives. Ladies have the luxury and freedom to wear and be whatever they want at Studio W, a fitness studio that caters to women only. KL Yoga speaks to Intan Suraya Hashim, co-founder of Studio W, on her fitness studio and her thoughts on yoga and spirituality. When Intan and Ikram first set up Studio W two years ago, their aim was to provide a comfortable environment where ladies could perform at their best without feeling self-conscious about the way they looked, a place where it didn’t matter if they were wearing a baggy-T or if they had no lipstick on. As Intan explained, she had noticed that large gyms in the Klang Valley catered mainly to mixed genders or at most, allocated only a small separate section for women. There is also the constant pressure to dress up and look good at these gyms, which may be a hindrance to some. Intan recalls a shocking incident when she overheard a crew member of a local gym refer to the ladies’ section as “the place where fat women exercise.” Strongly disagreeing with this “unhealthy concept where women are told they have to be a certain size and shape”, Intan was driven to provide a proper venue where women could feel confident about themselves and not be judged by their appearance. 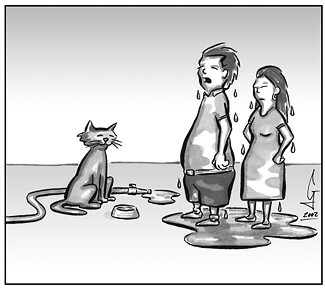 “By removing distractions, they can concentrate fully on their workout,” she said. In addition to this, Intan wanted her studio to be friendly to all religions and cultures. At a ladies-only environment, muslim women could comfortably remove their head scarves for a good workout. The studio also conveniently provides a prayer room for muslim ladies who will not have to rush to or from their homes for Maghrib prayers. 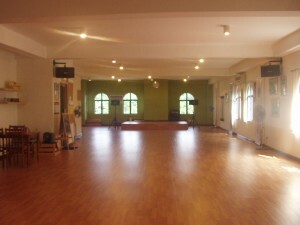 Studio W offers three types of yoga classes – Power Yoga, Flow Yoga and Alignment Yoga, which are conducted by her team of certified yoga instructors and on occasion, by herself. It was no wonder that Intan was taken aback when she received news that the National Fatwa Council had announced that yoga was haram in Islam on November 22, 2008 as it involved religious elements of Hinduism. After much objection from the people, the issuance of a fatwa (Islamic ruling) prohibiting practise of yoga among muslims was later deferred. Since then, Intan has been outspoken on the issue of yoga and religion. She appeared in a video for local news website Malaysiakini (http://www.studiow.com.my/press.html) and contributed a thought-provoking article to Shape Magazine on the controversial issue of yoga and Islam. Muslims in Malaysia are extremely grounded in their religion and do not attend yoga classes to seek out spirituality but for health purposes. She has also clarified the issue with several yoga experts in the country who are of the opinion that yoga is not a religion, but simply a physical exercise. However practitioners may choose to incorporate their own spiritual elements into the exercise, though it is not compulsory to do so. Intan encourages those who have concerns regarding yoga and spirituality to sit in some of the classes and observe the sessions for themselves before deciding to take up yoga classes. Intan’s interest in fitness started in 2005 when she began attending Jazzercise classes to fill up her leisure time and to lose weight. For those who have yet to come across this form of exercise, Jazzercise is a cardio work-out with elements of dance, kickboxing, resistance training, Pilates and Yoga. Seeing positive results through her weight loss, she was hooked. And since she had always desired to start her own business, it seemed natural that she would start her very own fitness studio with her partner, Ikram. As she mastered Jazzercise, Intan would practise yoga on the side to complement her workout. Through her own self-practise, she found that yoga helped her become more aware of her body. “Yoga taught me to understand my body and respect my body’s limitations, and to progress through patience and proper breathing, without straining myself,” she said. On the subject of the standards of yoga at her studio, Intan says she is particular about hiring experienced and quality yoga instructors as she believes that it is important for her students to learn the right techniques so as to prevent injuries. She also stresses on building long-term teacher-student relationships so that her instructors could better understand the needs and limitations of each of the students. Intan certainly comes off as one who puts her students well-being above all else in Studio W. The spacious studio, located at Dataran Sunway in Kota Damansara, is a place not just for a great workout, but also where women can truly let their hair down, have a great full-body workout and build lasting friendships. Studio W is located at 16-3, Jalan PJU 5/17 Dataran Sunway, Kota Damansara 47810, Petaling Jaya, Selangor. For further details, contact Intan at 012-324 5144 or via email at intan@studiow.com.my, or visit their website at www.studiow.com.my. 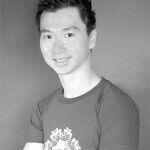 A 30-hour pilates training course for professionals at Ojas Yoga, Bukit Jalil, will be conducted by Mike Leung (for instructor profile, look below).